SpaceClaim believes technology should work for you, not the other way around. Technology should make your job easier, not more complicated. 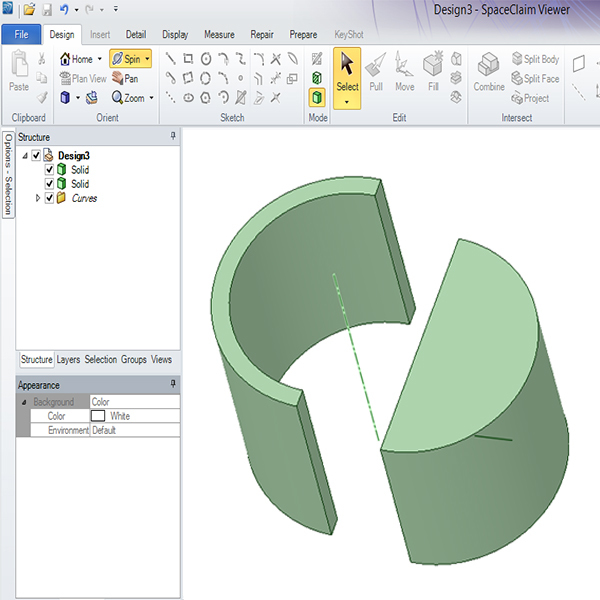 SpaceClaim enables anyone to create, edit, or repair geometry without worrying about underlying technology. With SpaceClaim, working with 3D modeling software becomes fast, easy, flexible and rewarding; no matter where in the workflow you need it. Allow engineers, designers and analysts the ability to import all 2D and 3D CAD file types for fast and easy geometry changes and clean up. Want to see SpaceClaim in Action? Please contact Beckatt Solutions for a free web demonstration and 7 day trial of SpaceClaim. Beckatt Solutions is a leading Midwest US distributor of 3D printers, print materials and supplies, scanners and software. We are committed to providing our clients with cutting-edge 3D printing technologies and services.